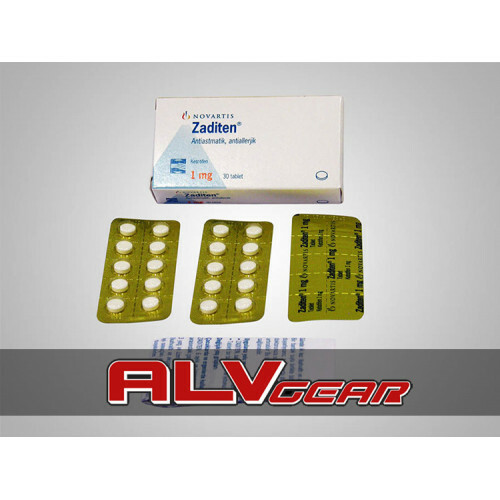 Zaditen is a popular drug by Novartis with Ketotifen active ingredient. It’s used to stop Asthma attacks but there are now different drugs for asthma treatment. 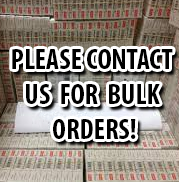 Bodybuilders use Zaditen with Clenbuterol because Zaditen causes beta receptors down problem. Bodybuilders need desensitizing the various receptors in their cycles and it’s easily possible by Zaditen. It also allows bodybuilders to make longer cycles because it breaks the beta-2 receptors regular system. 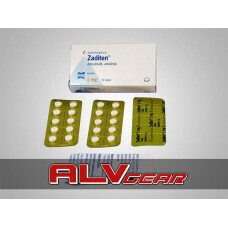 Common dose for Zaditen is 2-3 mg per day. It can be used after Clenbuterol. Because of its antihistamine properties, it can cause some side effects. There’s no known mortal side effect of Zaditen and common side effects are appetite stimulation, drowsiness and weight gain. 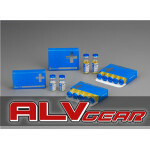 Optimal dosage for bodybuilders is 2 - 3 mg per day and overdose can be dangerous. Abdominal or stomach pain and redness of skin are also reported but they are not common. Dose must be adjusted by doctor for the children under 1 year old. If child is over 3 years, 1 mg is the ideal Zaditen dose. There are some discussions about Zadien usage for children under 6 years old but there’s no report about problems still. Half-life of Zaditen is 1 days but traces can be found up to 4 days. Because of its antihistaminic and anti-allergic nature, it’s possible to find Zaditen in all drugstores and other drug shops easily. According to reports from health organizations, there are some fake drugs in the internet selling with Zaditen name and it’s very dangerous to buy and use one of them especially for treating asthma crisis or weight loss.